NASA wants your help on it’s newest project. Doug Rohn, director of NASA’s Transformative Aeronautics Concepts Program, is calling the competition the “ultimate ‘geek’ dream assignment.” Essentially, participants will be helping to improve the performance, efficiency, and accuracy of one of the world’s largest supercomputers. NASA hopes to draw in “qualified people who can download the FUN3D code, analyze the performance bottlenecks, and identify possible modifications that might lead to reducing overall computational time.” As if this once-in-a-lifetime opportunity wasn’t enough of a draw, NASA adds to the competition’s allure by offering cash prizes totaling $55,000. It is important to know that NASA’s aviation approach is three-legged. The first leg controls initial designs tested with computational fluid dynamics, while the second leg includes building scale models for testing in wind tunnels. The last leg of the system puts research to the test by taking it into the air and allowing scientists to prove the technology’s capabilities. So far the challenge has been well received by the coding and programming realm and it also appears to be an extremely cost-effective way for NASA to increase the performance of the FUN3D code. 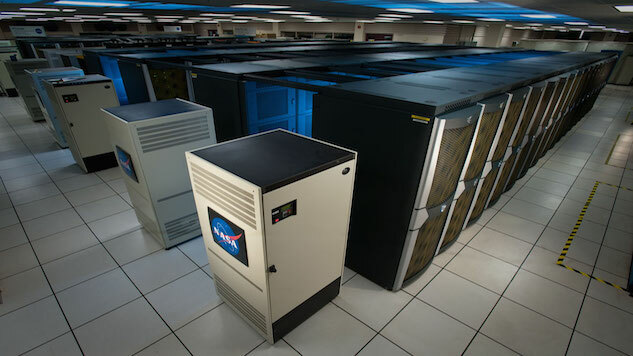 Better coding and programming of FUN3D, one of the many software tools on Pleiades supercomputer, could drastically improve efficiency, and take NASA’s technology to the next level. The rules of NASA’s challenge are simple: to participate you must be a U.S. citizen and at least 18 years of age. Although no access to a supercomputer is required to take part in the contest, you will need to visit this website. All entries must be submitted by 5 p.m. EDT on June 29th. All contest winners will be announced on August 9th. May the best men and women win.